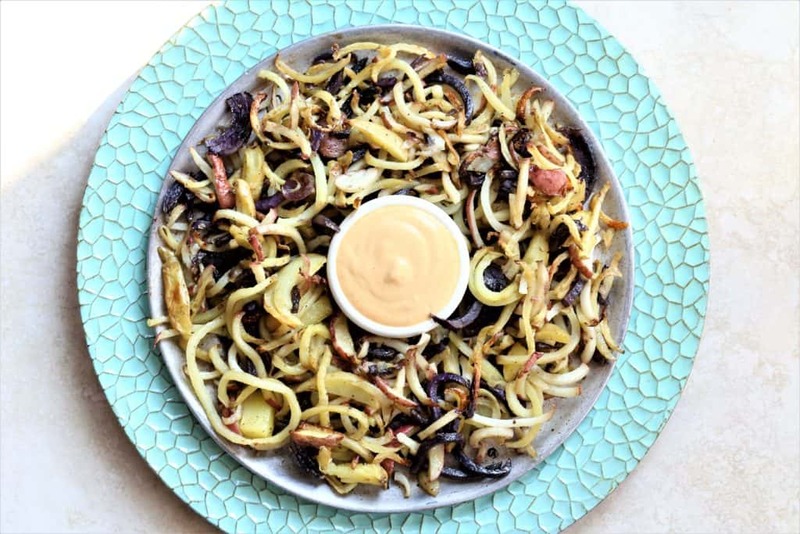 Homemade Curly Fries With Chipotle Aioli are baked, crispy and delicious. Yes, it is summer, and maybe it is too hot to turn the oven on, but, we must have these Homemade Curly Fries today! 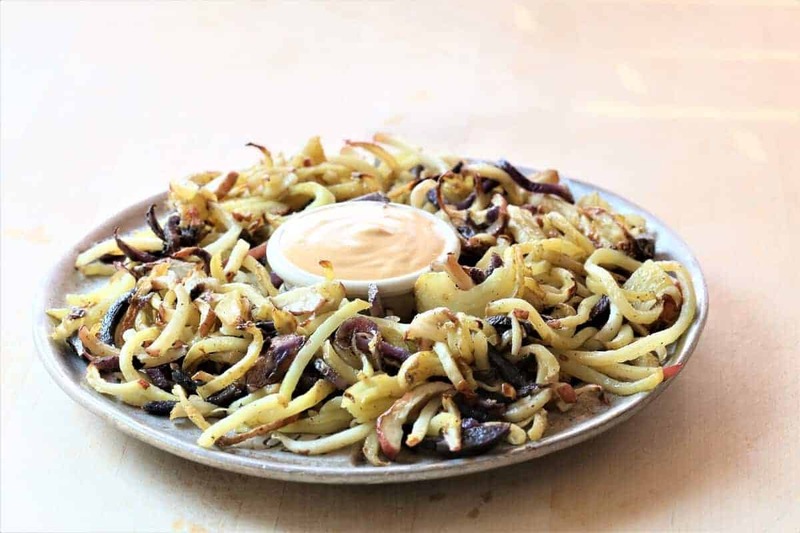 Start with a bag of red, white and blue potatoes (approximately 15 small or 8 large), spiralize them into curly shapes, pop them in the microwave and then broil for crispiness. In less than 30 minutes, you will be dipping these crunchy potatoes in tangy chipotle aioli and, trust me, it is worth all the heat. Vegan, gluten free and dairy free. 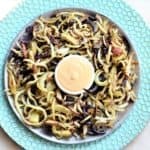 Tasty curly fries with chipotle aoili. The perfect snack that you are craving. Vegan, gluten free, dairy free.